Twin Cities PPC (Pay Per Click) is a popular marketing method used to increase your website’s visibility in search engines. This provides the opportunity for more potential customers to find your site and give you business! Our PPC management service helps you publish paid ads online that help convert leads into sales. The best thing about pay per click advertisement? You only have to pay when users click the ad. This means you are only paying for leads from users that are already interested in what you are selling or providing. 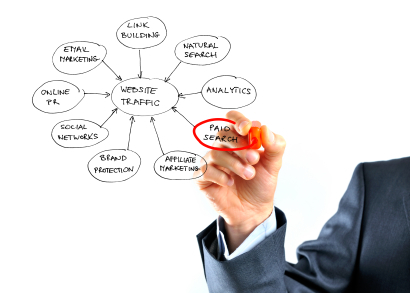 PPC is great because it offers a high level of control as well as tracking. This makes it an incredibly useful and popular tool for marketers. However, it requires a lot of knowledge and skill to be used correctly, and without qualified help it is easy to spend too much money on a campaign. At Minnesota Interactive, our staff of highly trained Twin Cities PPC professionals can help your business or organization with everything related to internet marketing and search engine optimization , from content writing services to PPC management, we help you to save money on marketing expenses while at the same time increasing sales and customer leads. Contact Minnesota Interactive today for a free 30 minute consultation and learn how Twin Cities PPC management experts can help your business thrive today!